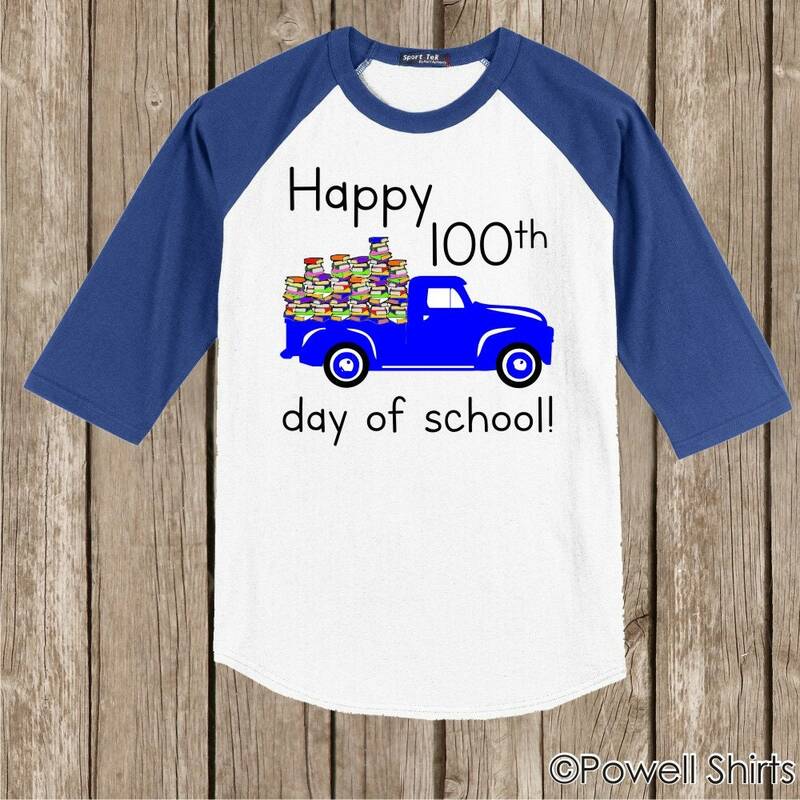 100th Day of School Raglan Vintage truck T Shirt - several sleeve color options - Celebrate 100 days of school!! 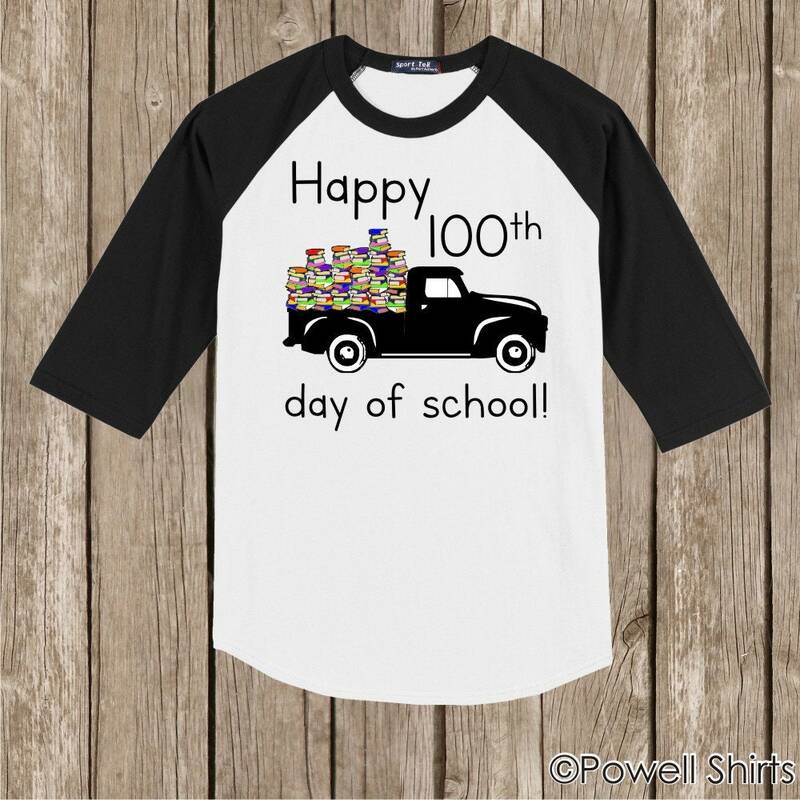 100 Books in truck! 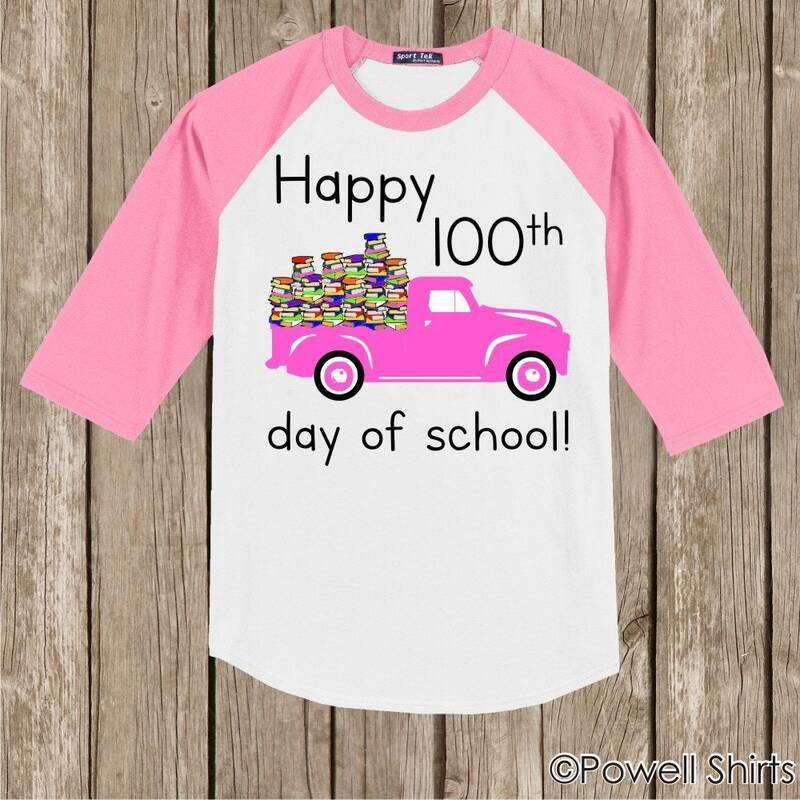 .Celebrate the 100th day of school in style with this 3/4 sleeve raglan!! 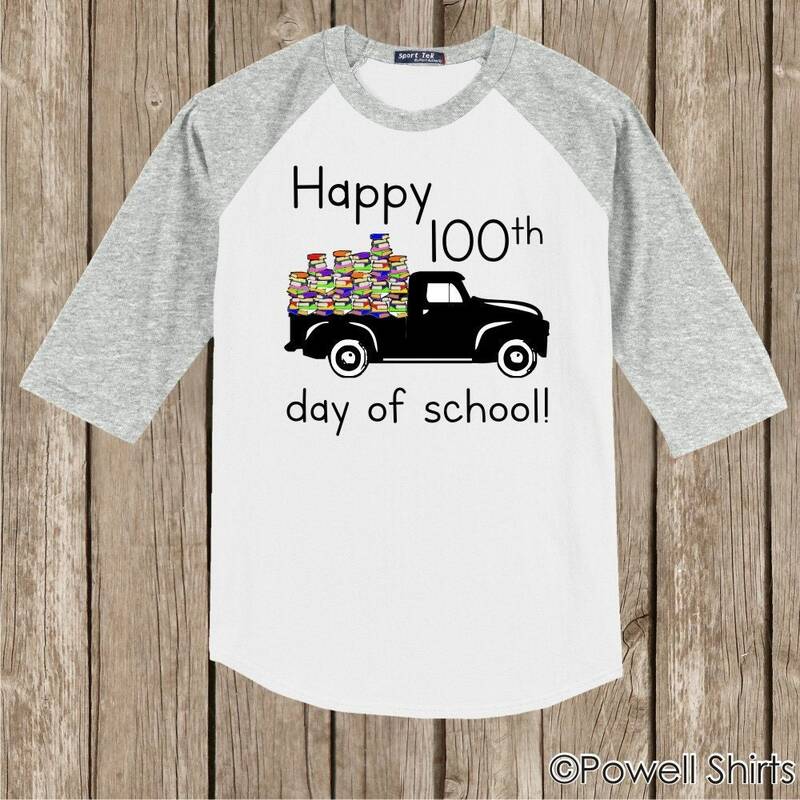 Available in youth sizes as well!! 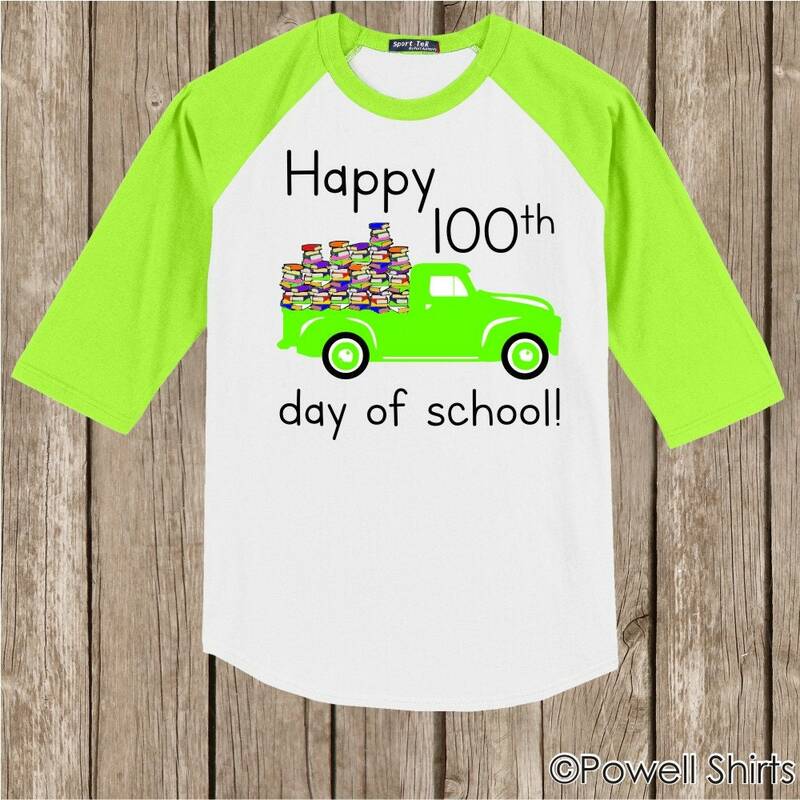 These trendy raglans look good with leggins. Please see included size charts or email any questions. 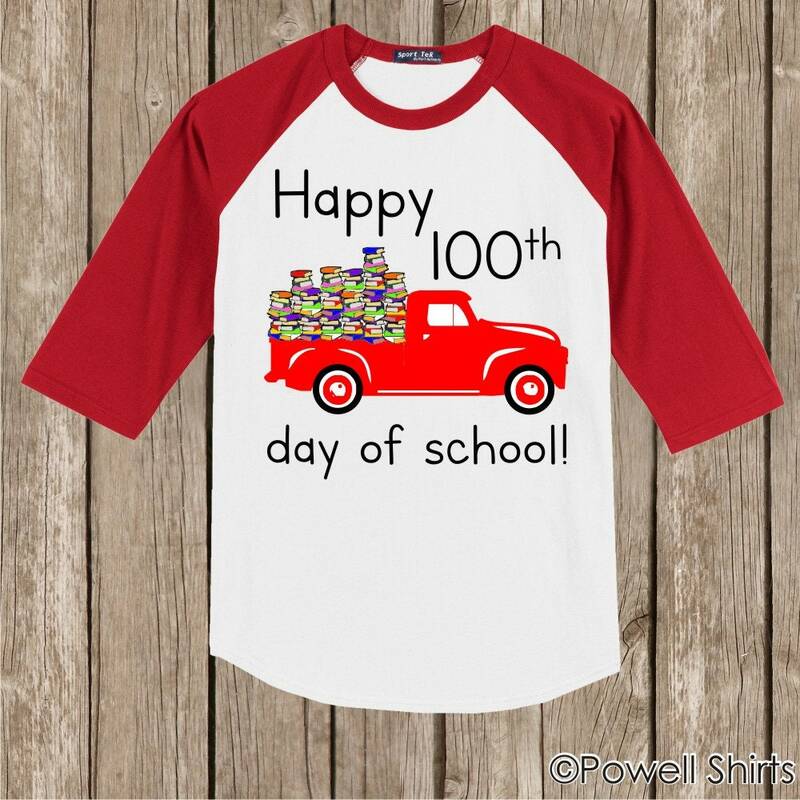 Truck color will be printed to match sleeve color as closely as possible (gray sleeves get black truck unless otherwise requested). Request a custom order to have your school name added to the truck!